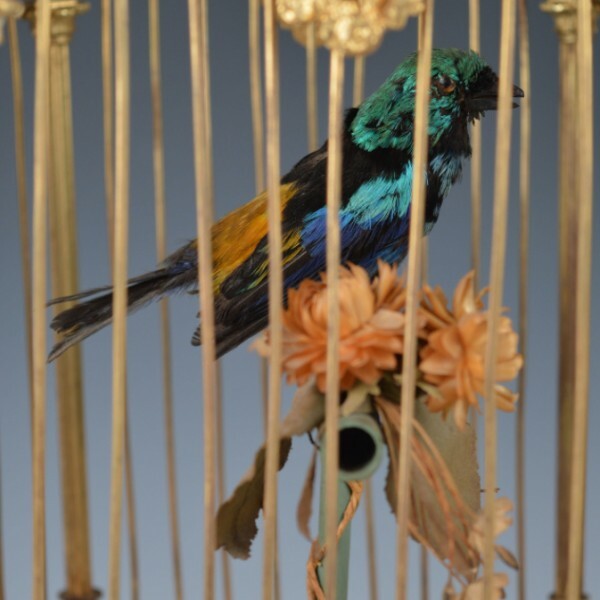 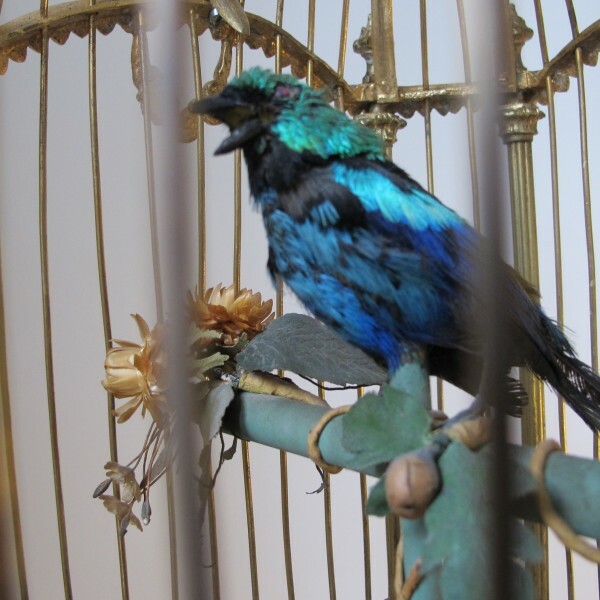 Singing Bird in a Gilded Cage with Sevre Porcelain Panels. 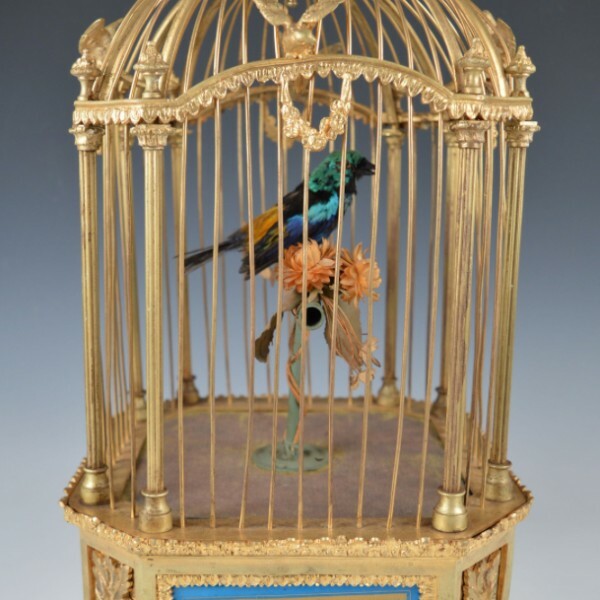 Made in Paris, c.1880 by Bontems. 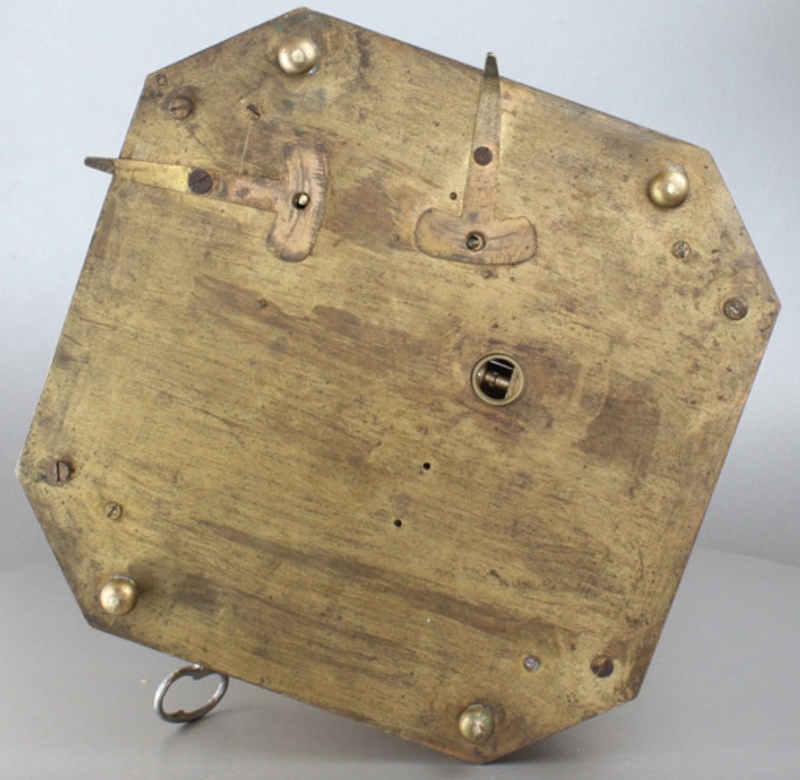 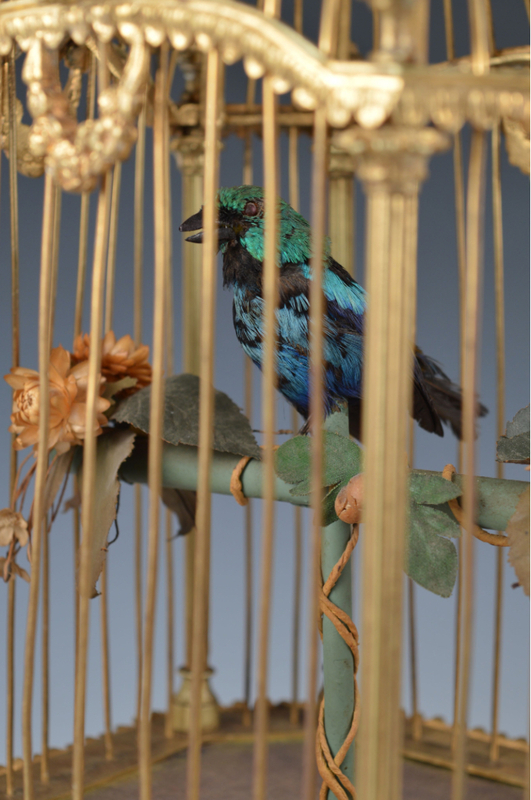 When wound with the key and the start/stop lever is operated, the large taxidermy bird begins to move and sing. 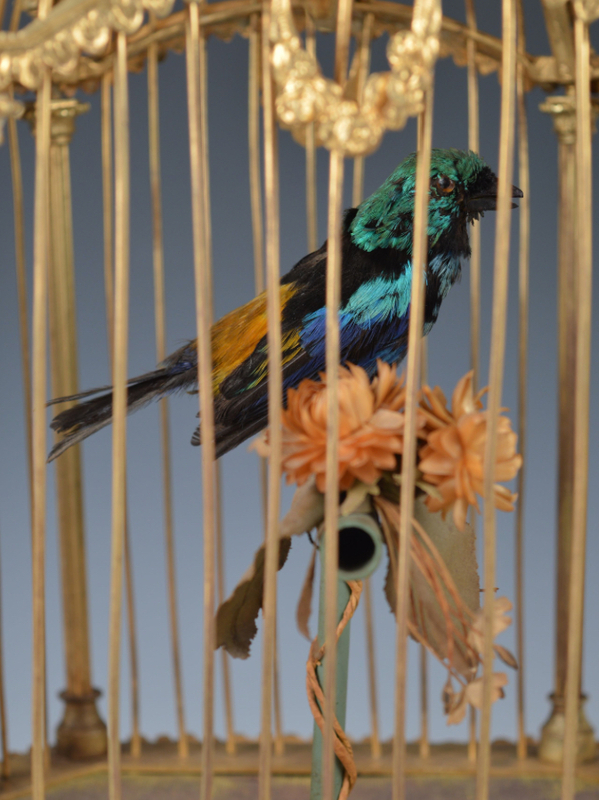 The bird moves its beak, tail feathers and head from side-to-side to the continuous in time with the birdsong. 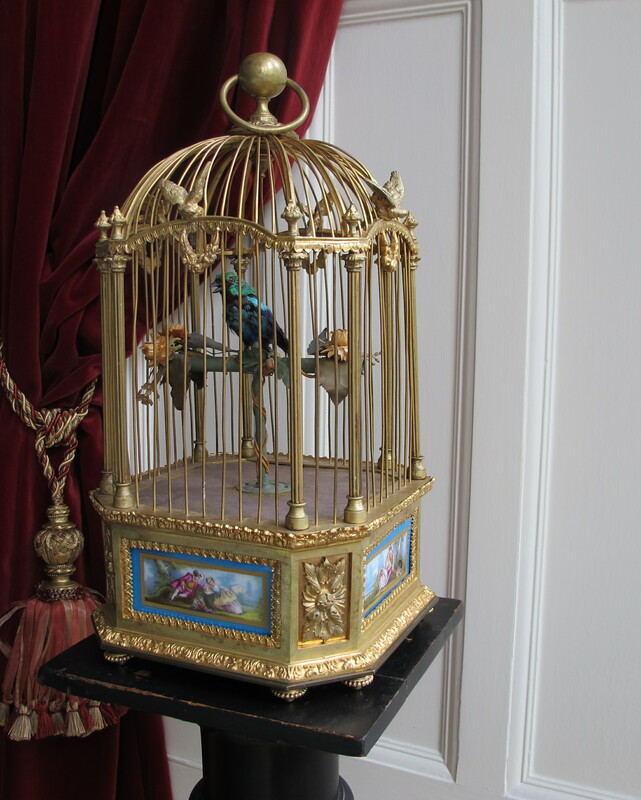 The volume of the birdsong can be controlled by a side-positioned lever, The volume control is nrare on any mechanical singing bird. 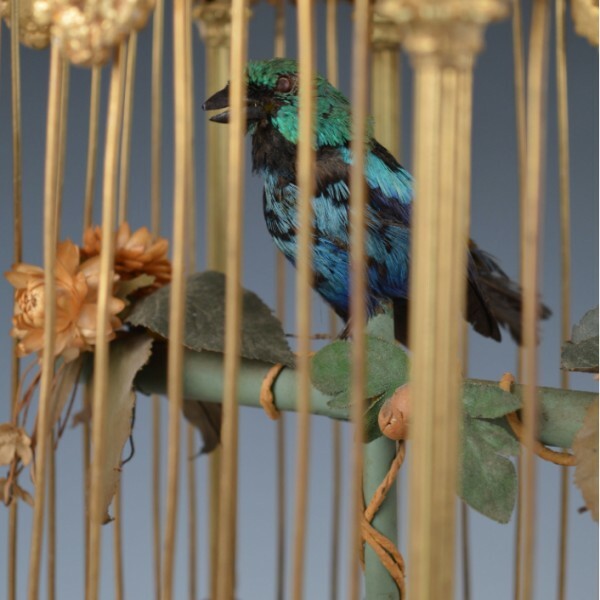 The full taxidermy bird with soft emerald green and electric blue toned feathered plumage, the gilded brass T bar perch, decorated with flower petals and ivy leaves and stalks. 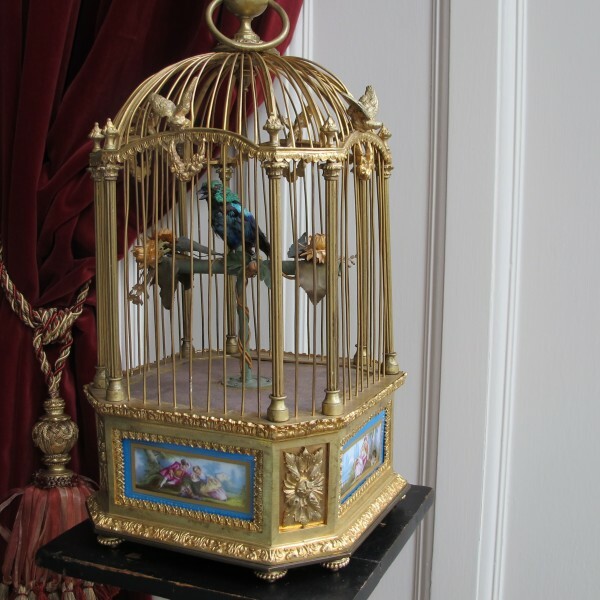 The base is covered with the original worn green velvet, under the magnificent architectural square domed cage with canted corners, on the substantial polished gilt bronze base with each canted corner bearing a stylised floral motif applique, plinth edge with fine acanthus leaf frieze, and the main focus of the eye being drawn to each side with inset rectangular Servres porcelain panels, with scenes of figures, mostly couples relaxing and enjoying the sights of the riverbank, the meadow and the foot of mountains, executed in fine detail and finished with parcel gilt and blue borders, base edge with cast wide egg-and-dart frieze, on bun feet. 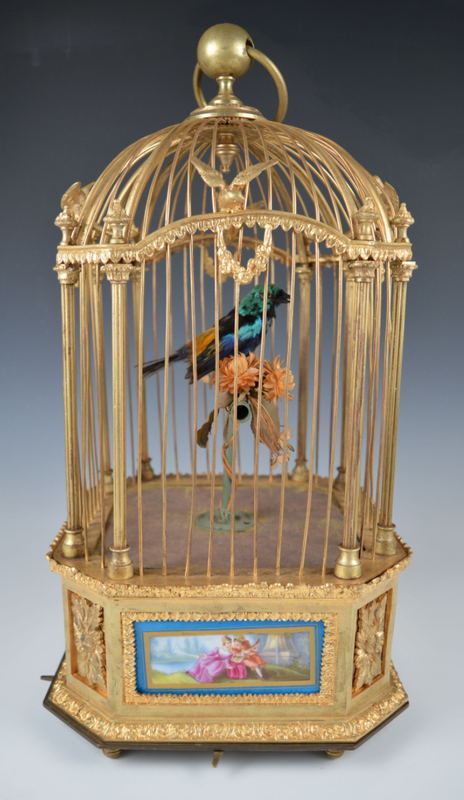 A luxury product with the colourful porcelain panels and embellished cage this rare Singing Bird was at the top end of Bontems considerable range of Singing Birds.